Our priority is to ensure you, as a patient feel prepared and ready for any foot surgery, and recover comfortably and quickly. We tend to your every need – whether that involves answering general questions, communicating with the insurance company, or coordinating post operative care. The Alvarado Podiatry Center team shares a positive and helpful attitude that our patients truly appreciate. I recently joined Alvarado Podiatry Center as the receptionist. I have three years of experience in the medical field but this is my first time working in a private office. As the receptionist, I handle the front office duties, including welcoming patients, answering the telephone and scheduling your appointments, maintaining your medical records, and keeping the office running smoothly and efficiently. My favorite part of my job is meeting new patients and seeing familiar faces that come in to see us. 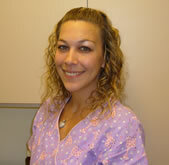 I really enjoy providing excellent patient care and working for Dr. Triolo. I look forward to making your visit a great one! 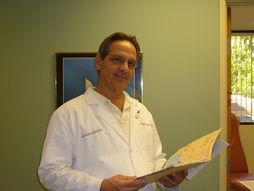 I have worked for Dr. Triolo for over eight years as his medical assistant. My priority is to make sure patients are comfortable while they are in our care. I schedule surgeries and work closely with patients to ensure their entire surgical experience goes smoothly. I am also responsible for coordinating with our patients’ primary care physicians and laboratories to get the appropriate test results. I enjoy working in Dr. Triolo’s office and interacting with a wonderful group of patients on a daily basis.